DULLES, Va.Apr. 6, 2018-- Orbital ATK (NYSE: OA), a global leader in aerospace and defense technologies, today announced the HYLAS 4 commercial communications Ka-band satellite, built by the company for Avanti Communications Group plc (Avanti), was successfully launched aboard an Arianespace rocket. 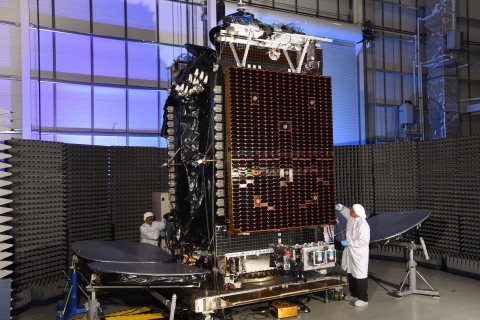 HYLAS 4 is the third GEOStar-3 satellite to be completed by Orbital ATK and will provide high speed and affordable broadband communications to Europe and Africa. Liftoff occurred at 5:34 p.m. EDT from Kourou, French Guiana. The satellite separated successfully from the launch vehicle approximately 35 minutes into the mission after reaching its targeted orbit. Orbital ATK completed the satellite s initial post-launch health check and configuration in preparation for orbit-raising procedures and in-orbit tests. The spacecraft handover to Avanti is anticipated in April. 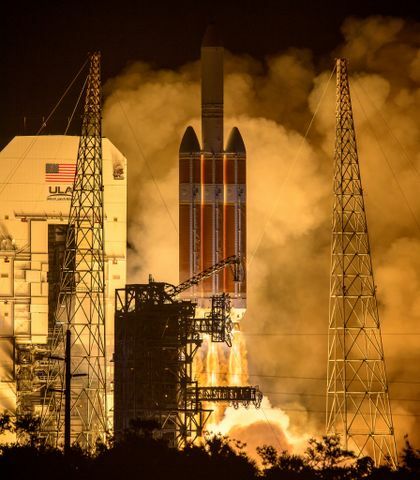 The data from initial testing shows the satellite is in good health and performing as expected, said Amer Khouri, Vice President of the Commercial Satellite business at Orbital ATK. As the third GEOStar-3 satellite to launch within three months, HYLAS 4 demonstrates Orbital ATK s ability to develop and execute an enhanced product that offers increased capability to meet our customers emerging needs. HYLAS 4 was built in Orbital ATK s satellite manufacturing facility in Dulles, Virginia. It is a hybrid electric propulsion and all Ka-band high-throughput satellite that sets a new standard for affordability and payload flexibility in its class. The satellite will extend Avanti s Ka-band coverage across Europe, the Middle East and Sub-Saharan Africa. Furthermore, additional capacity can be provided through four steerable beams, which can address existing regions or new regions such as Latin America. The GEOStar-3 platform is the newest, highest power and most advanced platform in the flight-proven GEOStar product line. The spacecraft bus features an increase in both battery capacity and solar array power, enabling the GEOStar-3 to provide up to 8 kilowatts of power to the payload. The hybrid electric propulsion system provides the benefits of higher power and greater payload capability while maintaining cost-effective launches and a faster path to orbit than all electric systems. Orbital ATK is a global leader in aerospace and defense technologies. 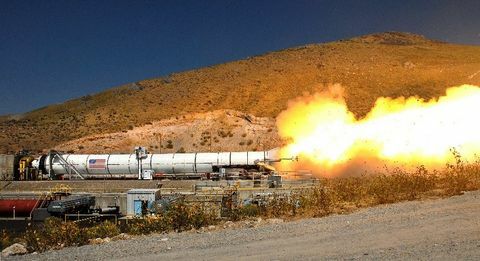 The company designs, builds and delivers space, defense and aviation systems for customers around the world, both as a prime contractor and merchant supplier. Its main products include launch vehicles and related propulsion systems; missile products, subsystems and defense electronics; precision weapons, armament systems and ammunition; satellites and associated space components and services; and advanced aerospace structures. Headquartered in Dulles, Virginia, Orbital ATK employs approximately 14,000 people across the U.S. and in several international locations. For more information, visit www.orbitalatk.com. Avanti connects people wherever they are in their homes, businesses, in government and on mobiles. 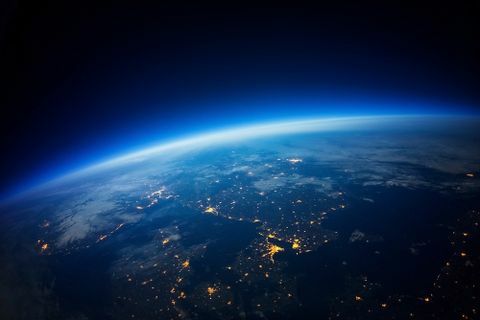 Through the HYLAS satellite fleet and partners in 118 countries, the network provides ubiquitous internet service to a quarter of the world s population. Avanti delivers the level of quality and flexibility that the most demanding telecoms customers in the world seek. Avanti is the first mover in high throughput satellite data communications in EMEA. It has rights to orbital slots and KA-band spectrum in perpetuity that covers an end market of over 1.7bn people. The Group has invested $1.2bn in a network that incorporates satellites, ground stations, datacentres and a fibre ring.